I remember going to the circus once when I was a little kid. I'm pretty sure it was at the Rosemont Horizon back in Chicago. But I was pretty young. All I really remember about it is that it was loud. 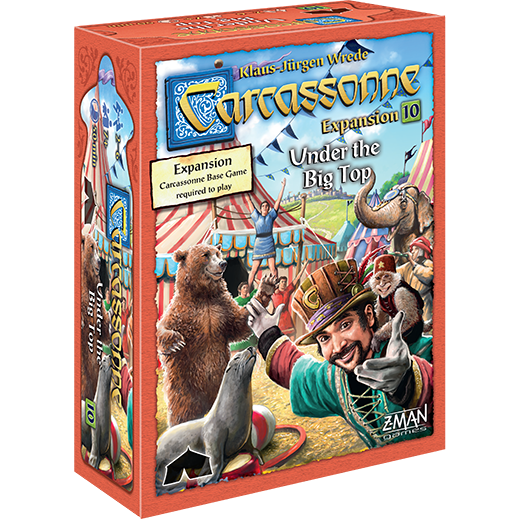 Well, you can bring the noise and excitement of the circus to your games of Carcassonne, as the Under the Big Top expansion (the 10th for the game) is now available. For days, the town has been abuzz with anticipation. Excited by the sounds of strange animals and the occasional fleeting glimpse of performers practicing their amazing stunts, a crowd has gathered to watch as the big red tent goes up in the town square. 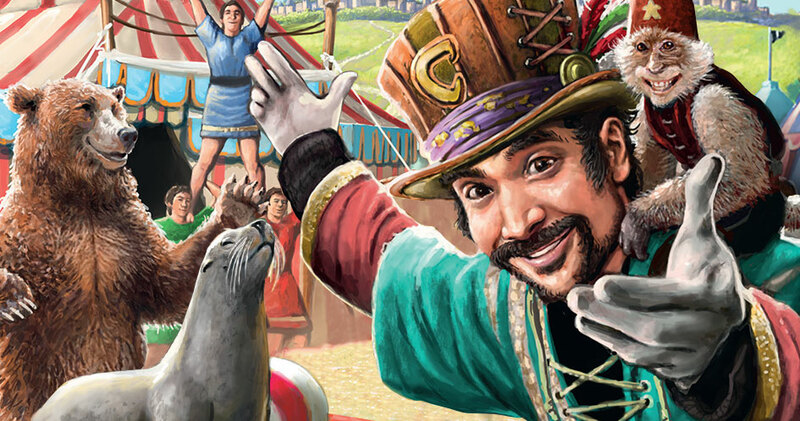 In Under the Big Top, players enter a whole new world where exotic animals perform for awestruck crowds and acrobatic meeples climb to new heights. Once the big top goes up, the people come from miles away to take in the attractions. With twenty new land tiles and two new types of meeples, Under the Big Top adds thrilling new dimensions to your games of Carcassonne.